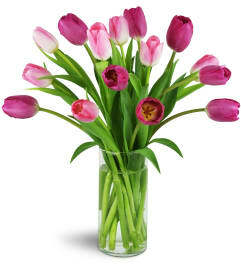 When Spring comes around, they'll be dreaming of sunny skies and fragrant blooms - make their dream come true with a lovely arrangement including seasonal tulips, hyacinth, and more! It's sweet, fun, and perfect for a birthday, Mother's Day, and more! 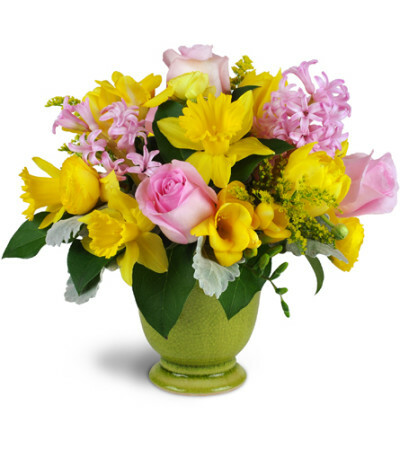 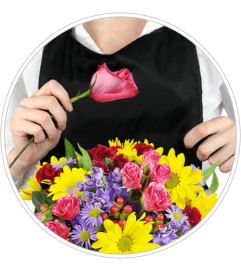 Lush yellow daffodils, tulips, ranunculus, and more are arranged with pink roses and hyacinth in a charming footed urn vase.